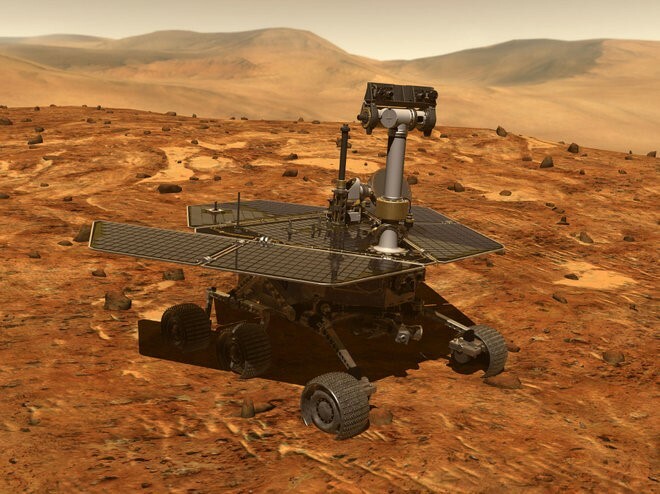 The Mars Exploration Rover vehicle Opportunity remains missing in action 124 Martian days after falling silent at the onset of a global dust storm in early June. The solar powered vehicle lost power as the windblown dust blocked sunlight from reaching the solar panels that power the rover. Calculations suggest that the ambient temperature around the vehicle should remain above the survival temperature of the electronics during the dust storm, however all warranties on the vehicle have expired after the passage of 14 years on the surface of Mars (of what was supposed to have been a 90-day mission!). The science team remains hopeful of the possibility that a layer of dust settled on the solar panels, which could be removed by strong gusts of wind in the near future, allowing Opportunity to wake up and "phone home".